It is not an uncommon practice for lawyers to target specific types of consumers with online advertising in hopes of reaching the right audience on the internet. One way that many attorneys will execute this type of advertising is to target their online advertisements to show up on news sites, particularly in news articles that are relevant to their own area of legal practice. However, sometimes that strategy can coincidentally end up making the advertiser look a little bit silly. 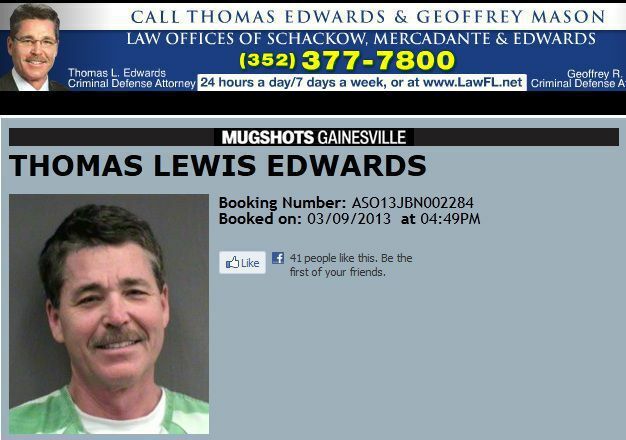 On Saturday evening Florida criminal defense lawyer Thomas Lewis Edwards was arrested and charged with multiple counts, including hit and run, driving under the influence, reckless driving and refusal to submit to a blood-alcohol test after being involved in a hit-and-run DUI collision. But the fact that Edwards is a criminal defense lawyer, who likely represents a fair number of DUI offenders in Florida, and was arrested for DUI isn’t even the real kicker with this story. Edwards’ law firm, the Law Offices of Schackow, Mercadante & Edwards, apparently has a targeted online advertising campaign that is designed to feature his advertisements in articles about DUI offenders and drunk driving accidents. 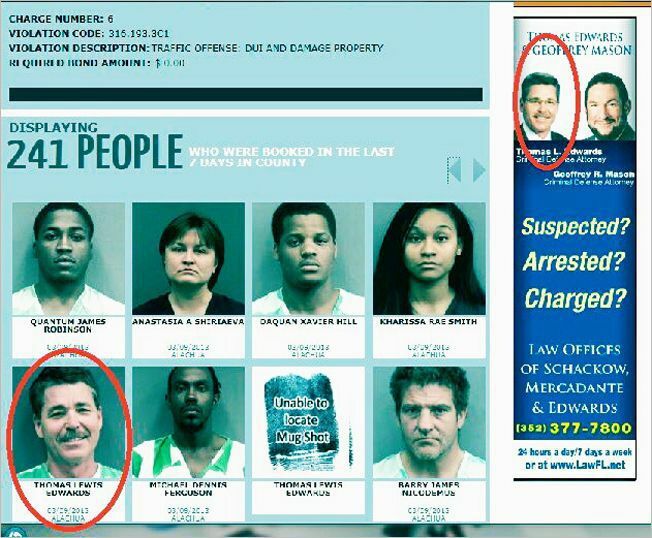 Unfortunately, as you can see in the picture above, the firm’s ad showed up on a news article that featured Edwards’ mugshot on the night of his arrest. What’s even more amusing is that when we went online to look at the details of Edwards’ arrest, the advertisement showed up on that page as well. Now, we’re not here to knock on Edwards and his firm’s strategy for attracting qualified potential clients. But when these types of coincidences happen in life, someone has to make light of the situation. Maybe he will be able to attract even more clients based on his “first-hand experience” with DUI arrests.